At approximately 11.15pm last night shots were fired in Scenic Heights area of Southampton, and approximately one hour later shots were also fired in the Camp Hill area. No one was injured in either incident. A police spokesperson said, “The investigation regarding two confirmed firearm incidents that occurred within the last 24 hours is ongoing. “In the first around 11:15pm Tuesday, December 9th in the Scenic Heights Pass Southampton area, men wearing dark coloured clothing riding two separate motorcycles were apparently involved in a brief confrontation before shots were fired. Both motorcycles then left the area, traveling in opposite directions. 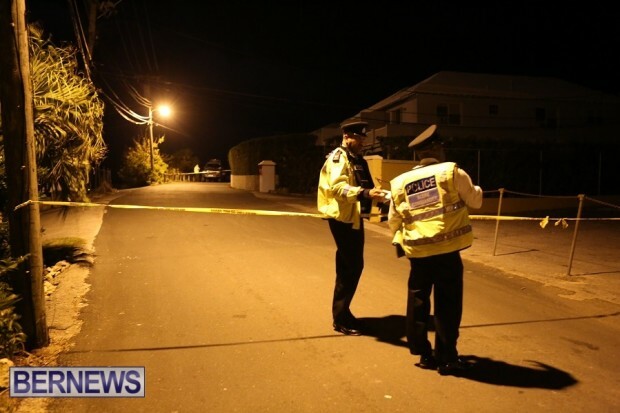 “Approximately an hour later, two persons wearing dark coloured clothing on a dark coloured motorcycle were apparently in the Camp Hill, Warwick area when a firearm was discharged. Both suspects then left the area on the same motorcycle. “There were no reported injuries in either incident,” the police statement added.